Thanks for uploading the episode 1 of the TWdrama In A Good Way and thanks for uploading with us. What a nice episode ratings for the episode 1 of the TWdrama In A Good Way and I hope that they watch on it. Thanks for uploading the episode 2 of the TWdrama In A Good Way and thanks for uploading with us. What a nice episode ratings for the episode 2 of the TWdrama In A Good Way and I hope that they watch for it. When is ep 3 coming out? Thanks for uploading the episode 3 of the TWdrama In A Good Way and thanks for uploading with us. What a nice episode ratings for the episode 3 of the TWdrama In A Good Way and I hope that they watch for it. Do you want to subbed the TWdrama In A Good Way? Please help to subbed on it. Thanks for uploading the episode 4 of the TWdrama In A Good Way and thanks for uploading with us. What a nice episode ratings for the episode 4 of the TWdrama In A Good Way and I hope that they watch for it. I love this Friday night TWdrama for me. What time will ep 5 be up on this website ?? When is ep 6 coming out???? Hate the fact that the next episode of the drama only comes out once a week..
How Many Episodes Are There in Total???? Thanks for uploading the episode 5 of the TWdrama In A Good Way and thanks for uploading with us. What a nice episode ratings for the episode 5 of the TWdrama In A Good Way and I hope that they watch for it. Thanks for uploading the episode 6 of the TWdrama In A Good Way and thanks for uploading with us. What a nice episode ratings for the episode 6 of the TWdrama In A Good Way and I hope that they watch for it. Thanks for uploading the episode ratings for the episode 7 of the TWdrama In A Good Way and thanks for uploading with us. What a nice episode ratings for the episode 7 of the TWdrama In A Good Way and I hope that they watch for it. Thanks for uploading the episode ratings for the episode 8 of the TWdrama In A Good Way and thanks for uploading with us. What a nice episode ratings for the episode 8 of the TWdrama In A Good Way and I hope that they watch for it. Thanks for uploading the episode 9 of the TWdrama In A Good Way and thanks for uploading with us. What a nice episode ratings for the episode 9 of the TWdrama In A Good Way and I hope that they watch for it. It come out once a week?? Wat day? Thanks for uploading the episode 10 of the TWdrama In A Good Way and thanks for uploading with us. What a nice episode ratings for the episode 10 of the TWdrama In A Good Way and I hope that they watch for it. I need your help to subbed the TWdrama In A Good Way and I hope that they watch for it. Thanks for uploading the episode 11 of the TWdrama In A Good Way and thanks forb uploading with us. What a nice episode ratings for the episode 11 of the TWdrama In A Good Way and I hope that they watch for it. 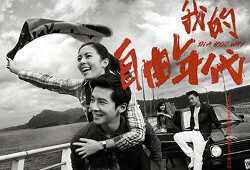 The episode 12 of the TWdrama In A Good Way is cancelled because of the Chinese New Year activities. Will be resumed next Friday night. Thanks for your cooperation. Its friday night. Wheres ep12? I want to subbed the TWdrama In A Good Way, please help to subbed on it. Thanks for uploading the episode 12 of the TWdrama In A Good Way and thanks for uploading with us. What a nice episode ratings for the episode 12 of the TWdrama In A Good Way and I hope that they watch for it. Thanks for uploading the episode 13 of the TWdrama In A Good Way and thanks for uploading with us. What a nice episode ratings for the episode 13 of the TWdrama In A Good Way and I hope that they watch for it. Thanks for uploading the episode 14 of the TWdrama In A Good Way and thanks for uploading with us. What a nice episode ratings for the episode 14 of the TWdrama In A Good Way and I hope that they watch for it. Thanks for uploading the episode 15 of the TWdrama In A Good Way and thanks for uploading with us. What a nice episode ratings for the episode 15 of the TWdrama In A Good Way and I hope that they watch for it. Thanks for uploading the episode 16 of the TWdrama In A Good Way and thanks for uploading with us. What a nice episode ratings for the episode 16 of the TWdrama In A Good Way and I hope that they watch for it. Thanks for uploading the episode 17 of the TWdrama In A Good Way and thanks for uploading with us. What a nice episode ratings for the episode 17 of TWdrama In A Good Way and I hope that they watch for it. Where’s the English subs for the TWdrama In A Good Way? Can you get it? Thanks for uploading the episode 18 of the TWdrama In A Good Way and thanks for uploading with us. What a nice episode ratings for the episode 18 of the TWdrama In A Good Way and I hope that they watch for it. Thanks for uploading the episode 19 of the TWdrama In A Good Way and thanks for uploading with us. What a nice episode ratings for the episode 19 of the TWdrama In A Good Way and I hope that they watch for it. Thanks for uploading the episode 20 of the TWdrama In A Good Way and thanks for uploading with us. What a nice episode ratings for the episode 20 of the TWdrama In A Good Way and I hope that they watch on it. They are make it to the 20+ episodes of the TWdrama In A Good Way and expect more episode to come, thanks very much. Thanks for uploading the episode 21 of the TWdrama In A Good Way and thanks for uploading with us. What a nice episode ratings for the episode 21 of the TWdrama In A Good Way and I hope that they watch on it. Sorry for the late upload, thanks for all of you to upload on it. Thanks for uploading the episode 22 of the TWdrama In A Good Way and thanks for uploading with us. What a nice episode ratings for the episode 22 of the TWdrama In A Good Way and I hope that they watch on it. Thanks for uploading the episode 23 of the TWdrama In A Good Way and thanks for uploading with us. What a nice episode ratings for the episode 23 of the TWdrama In A Good Way and I hope that they watch on it. Thanks for uploading the episode 24 of the TWdrama In A Good Way and thanks for uploading with us. What a nice episode ratings for the episode 24 of the TWdrama In A Good Way and I hope that they watch on it. We are extending the TWdrama In A Good Way and more episodes will coming up, thanks very much. I love his Friday night TWdrama for me. Thanks for uploading the episode 25 of the TWdrama In A Good Way and thanks for uploading with us. What a nice episode ratings for the episode 25 of the TWdrama In A Good Way and I hope that they watch on it. Thanks for uploading the episode 26 (final) of the TW-drama In A Good Way and thanks for uploading with us. What a nice episode ratings for the episode 26 (final) of the TW-drama In A Good Way and I hope that they watch on it. how can i download this drama?? Can someone share with me?